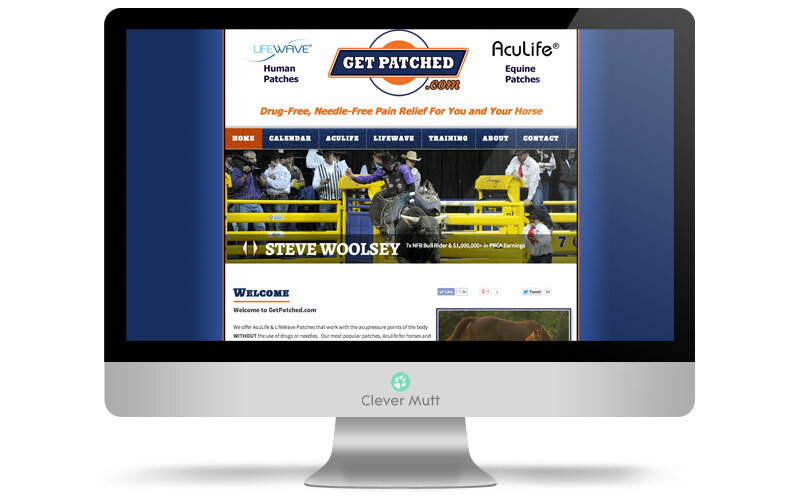 "I am soooooooo glad I chose Clever Mutt™ as my website developer, and I will definitely be recommending you to anybody that will listen"
GetPatched hired Clever Mutt™ to create a bold logo, a new website self managed through the Clever Mutt™ Portal web CMS and to create service that that integrated with third party web based software. 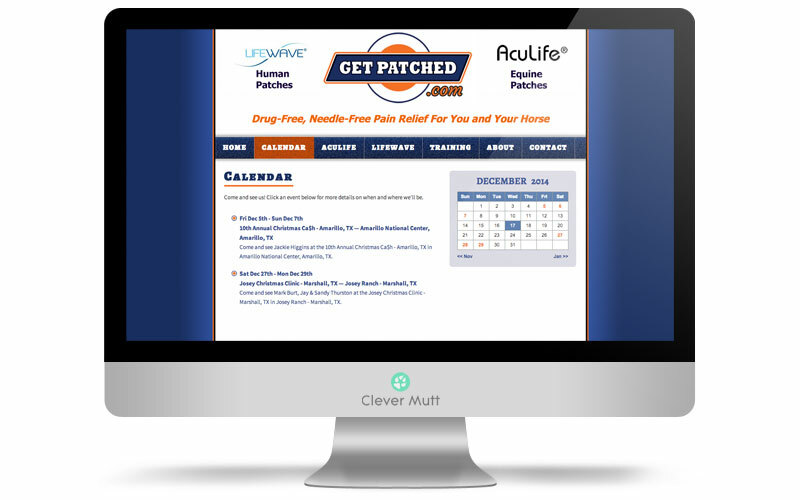 GetPatched offers AcuLife & LifeWave Patches that work with the acupressure points of the body WITHOUT the use of drugs or needles. 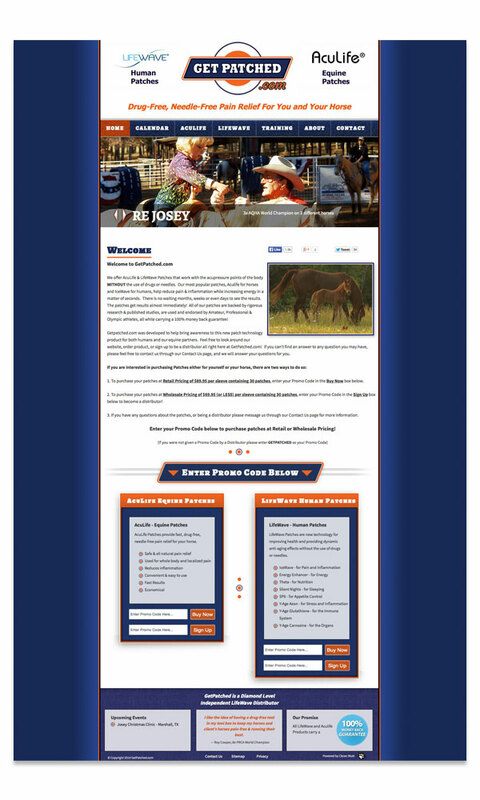 Our most popular patches, Aculife for horses and IceWave for humans, help reduce pain & inflammation while increasing energy in a matter of seconds.